2.1 Samsung, Micromax, Karbonn, Lava, Xolo, LG, Gionee, Panasonic, ASUS, Yu, TCL, Alcatel are a part of the Jio Preview Offer. 2. Once you download, open it and click on ” Install All ” button. 3. Now wait for few minutes & let it download all 10 apps of MyJio app. 4. Now fully close MyJio app. 5. Once you download all apps, Disconnect your Internet connection whether its Wifi or Mobile Data. 6. Now open MyJio app ( Do NOT turn ON Internet connection). 7. Once you open MyJio app, click on Open just beside MyJio. 8. Once you click on Open, you can see Get Jio Sim option. 9. Boom !! Now turn ON your Data and fill all required details. 10. Finally visit your Nearest Reliance Jio Store and show them your Barcode for Jio Sim. Samsung, Micromax, Karbonn, Lava, Xolo, LG, Gionee, Panasonic, ASUS, Yu, TCL, Alcatel are a part of the Jio Preview Offer. Few More Brands are Added to the List Now.. Which devices are part of the Partner Jio Preview Offer? Samsung, Micromax, Karbonn, Lava, Xolo, LG, Gionee, Panasonic, ASUS, Yu, TCL, Alcatel are a part of the Partner Jio Preview Offer. Jio services are provided on test basis by Reliance Jio Infocomm Ltd. and its affiliates at its sole discretion for limited period. Use of the services is at the sole discretion of customer. Samsung, Micromax, Karbonn, Lava, Xolo, LG, Gionee, Panasonic, ASUS, Yu, TCL, Alcatel & Reliance Jio disclaims any claims/liabilities associated with this offer, under no circumstances shall Samsung, Micromax, Karbonn, Lava, Xolo, LG, Gionee, Panasonic, ASUS, Yu, TCL, Alcatel & Reliance Jio be held liable for any part of this offer. Terms and Conditions Apply. Download the latest version of my jio app from playstore. Now u have to find a friend, who is using a jio Sim. Ask him to share his jio 4G net with u through hotspot. After u are connected to the WiFi. Open Settings › Apps › MyJio. Restart your mobile with your mobile connected to jio4g WiFi. After ur phones switches on. Make sure your mobile is still connected to the WiFi. The banner at the top asking u to install all jio apps will change to a new banner having an option to ” Get jio Sim” or “get a Sim”. Click on it .. Fill up your name and phone no. U will receive one OTP. Type that in the OTP column. And u are done a page containing the bar code will appear. Take a screenshot of it. And take it to the nearest store with all the required documents and grab your Sim. 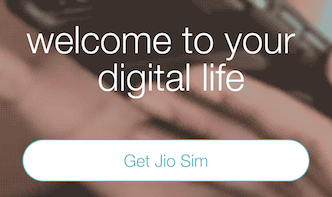 How To Use Jio Sim In Any Android 4G Device? Any Idea?. If u got jio sim via barcode then u can use in any android 4g enabled smartphone !! Its not Working in Iphone !! kindly explain your issue correctly. its working in any android phone yes or no??? Follow Steps Again may be it works ! I also Have Samsung A5 and I already got barcode . I have the barcode.but the in store they r asking to show the Samsung or lyf set.they will write the imei number of that phone.then give u the sim.i’m using moto g4 plus.how to get the sim??? btw i already got sim !! Can I get another bar code in same Android phone? ?? Can I use jio sim in note 5 when ever I generate bar code from another android set. Its not working for Iphone 6 , can anybody help? I got my barcode but unfortunately I deleted without taking screens shot. How can I recover the barcode? i register on jio website.they give me reply with barcode can i get sim card with that barcode?? How I can apply for barcode Any !dea? Yes you can get if your phone is 4G Enabled !! I have not showing this option “Get Jio SIM” in Yu Yureka Mobile. No, You can’t get !! I will get sim tomorrow So how to activate it.. I have xiaomi redminote3 b i generated code in samsung j7. I have Redmi note 3 mobile. I try This trick but it s not see get jio sim in screen.so what can i do please reply me. i genetated a barcode from my lenovo k3 note…and the barcode is expired..can i get the jio sim with expire barcode of lenovo phone..? If your phone in list then they will generate barcode for u .
they will generate barcode for u .
I’m using XOLO era 4k which is 4g enabled and also in the list that you show but still I’m not see the option get gio sim in my jio app.what to do to generate a barcode? I have d same problem with my Panasonic Eluga Icon, barcode is not generated. A caption shows written dis messages our system couldn’t process your transaction. Please try again later. Please help me. M using Asus zenfone selfie and m not getting my bar code yet…. what should i do….??? Visit Reliance Digital store and get sim !! Is this true ..if i will use Reliance jio sim, then i can’t use other sim in same sim slot for lifetime in same smartphone??? I get error saying: we couldn’t process your transaction. Please try again letter. Any workarounds? I have Sony Xperia Z it’s 4g enabled and I have downloaded all apps but when I am open ing My Jio app then barcode option is not showing.So tell me what to do. can i get barcode in lenavo zuk z1 ? After 5 sep, You can get sim from any retailer ! Can you tell me your phone model ? I have the get the jio sim activation sms 6 hours ago but network is not showing till now.. Brother in my mobile barcode is not generating it is only showing that ”congratulation your offer is activated” bt nt showing barcode….what is the solutio..?? I didn’t get any barcode for Lenovo p70 . Please suggest something. Barcode is not generating for Lenovo p70. Please help. all apps download from myjio apps, but jio news apps not download and give a message this virsion is not supported my mobile is sony expria M,and modal no.c2004 how to solve this problem.. I use samsung j2. I buy in malesia. This method work or not. I have already taken a jio Sim,but it doesn’t working….either net nor calling …what is the problem I can’t understand. If your phone is 4G Enabled then u will get ! First open jio’s official website. And then check whether your handset is in the compatible phone’s list. If yes, then go for the next step. hey suvam, thanx for sharing such awesome info with our readers. Keep it up. hallo…. I have a coolpad dozen1 smart phone…. 4G enable bt can I get the barcode…..? Dude i have samsung galaxy j2 its not working help me out!! How can I get bar code ? I hav generated the barcode in samsung j2.. But after generating the retailer said that the barcode is not necessary.. Now whether it is possible to use the jio sim in vivo v3 max??? Is jio available in Acer liquid 530 4g lte? I have cool pad note 3 lite.. Will jio sim work on my phone? I have Sony Xperia Z1 it’s i have downloaded all apps but when I am open My Jio app then barcode option is not showing.So tell me what to do….. I have downloaded all the apps of my jio app on my gionee F103(3 GB) . But still the get sim option is not shown. Visit any reliance digital store and get sim. has Agartala any reliance digital store for jio sim? Dost,I’m using Vivo V1,but the barcode in this device is not generate,what can I do,bro….??? I m using cool pad note 3…. Can i get a barcode for this handset… Plz notify me how? My handset name is redmi HM1SW.. Is the device suitable for reliance jio Sim. samsung note 2 supports JIO? Is this gonna work on moto g2? i genarated jio barcode on yesterday but am not captured screenshot of that, and today when i went to get sim. bar code is not showing in my jio app ..
My 3G phone is Sony Xperia C3 dual with qualcomm processor. Barcode got generated successfully and got the sim which is activated and tele-verified. Can change the network type to LTE/WCDMA also through *#*#4636#*#*. But no signal, though at the time of calling first slot sim name is showing JIO 4G. Please advise what be done to get the signal. i am not take screen shot .how i get bar code again.on yesterday the ask bar code. for getting new sim. I am using oppo neo 5 my hip all will work or no?? Will be support Jio SIM in Samsung galaxy tab e1…? I got bar code , I got jio SIM.. I m getting range but I cannot make call , even to jio reliance toll free 1977. I have Samsung J7. I got redeemed barcode no 55510739922. How can I get Jio Sim from this redeemed barcode. I’m using Samsung Galaxy tab A ..downloaded jio app but not showing barcode …how it can be solved. I have Sony d2302 can I get jio bar code? my jio number is 7001685868.so my sim not active. i submit all document. please help me sir. i followed your steps but i cant get the option of get jio sim. i have lyf flame 8 mobile. nice post. thanj u .it work for me. i have sony xperia sp mobile ,but i m not able to generate jio barcode please help me …. I have downloaded all the apps after tat it showing ‘get jio sim’ but after clicking on ‘get jio sim’ it is showing ” our system is unable to connect” so do I have to upgrade my phone?? Plz suggest. Its not working barcod for coolpad note 3 lite , can anybody help? what did type I want a jio sim card…..
generate new barcode from another mobile. visit reliance digital store and ask them about this issue. sir MY barcodes is redeemed…. you can generate only one barcode from one mobile. can i use jio sim in my Panasonic eluga i 3g phone? Sar I used moto xplay . I downloaded my jio app.. Install in the phone. Bar code can’t saved. Remember no bar code. I want jio sim. Please help me. How to remember bar code.. I already install my jio app but I not get baar code so what I do for get sim without bar code??? I have generated barcode for Redmi 3S but after 2 days it is showing barcode redeemed but I have not yet get any Jio sim. Then what should I do? Does Jio sim supports in Acer z630s?????? how to get barcode in 3g Android mobile phone? hello,actually I have generated barcode but not coupon code so will it be ok??? activation may take some extra time due to overwhelming response. I forgot to take the screenshot of the barcode and the my jio app is not generating any new barcode. Can I still get jio sim? If yes, then from where I can get it? follow all the steps again and you will get same barcode again. I have lenovo A6000. I got a barcode but while giving sim the server says it already in usage. But I was not show anybody to my barcode.. If I get sim without submitting my barcode.. Can i use that sim? you cant get sim card without barcode. Jio handsets LYF with get sim its free for 3 monts or 1 year. anybody says Lyf mobile preview offer for 1yr Its true or not bro. i went to the reliance shop. i showed my bar code. is says its already redeemed. but i never used it before. My barcode deleted how to found please help me! Hi, I m using ASUS Max, i installed MyJio app but i m unable to see my barcode on my cell, can u pls provide the solution for the same. I am not getting the barcode in samsung galaxy grand prime!!!! I have MI redmi note 3, Please suggest supportable for barcode or not? Can u give me jio customer care no. 198 if calling from jio sim card. clear data of myjio app and open it again then you will find option. only one barcode can be generated from one device. what error are you facing while generating barcode? i got barcode from my friend micromax 3g phone and i grab jio sim and activated.but the problem is when i put the sim in my phone(samsumg grand prime 4g).i cannot connect to the internet.Because APN is not getting automaticaly in the phone.what will i do. create APN manually having access point name Jionet. Bhai my bar code is seem to be invalid . Bhai religion store jio seller sad aap ka bar code kisse ni une kr Liya lakin mare moblie koi use ni krta fr kase Yi possible ha or ab mi kya kru. I have coolpade note 3 i suffering , not reading otp no. So plg any help. then someone else might have bought from your barcode. I followed all the process and successfully got the free reliance jio sim. Thank you so much for writing this article. I have a Lenovo p70 phon this phone is 4g but I didn’t get code what can I do for code please ans me …. make sure you’ve followed all the steps properly. I have a barcode.. BT I went to the jio store..he said barcode is used ?? now what can I do ?? then follow the steps given above in the post to generate jio barcode. Sir I generated the barcode but could not save the same, now the barcode is not coming. Even I re installed the my jio app . Please suggest . clear data of myjio app and follow all the steps again which you followed earlier. Could not save barcode generated by my jio app , now the option is not coming to view barcode . Reinstalled the app also but no luck. Please suggest. Respected sir, maine apna bar code use nahi kiya he lekin after 15 days my bar code redeemed. automatic how can I do. clear data of myjio app and follow all the steps again. my jio bar code was expired what will i do to get a new one . generate in another device by same steps. i installed my jio but i couldnt able get bar code ..is my phone .. compatible or not ? make sure you’re following all above steps properly. I HAVE GOT THE BARCODE BUT I DIDNT GOT AS I WENT TO GET THE CARDS AFTER 4 DAYS. CAN I GENERATE A NEW BARCODE MANTHAN D.
one barcode can be generated from one device. insert your sim card in slot 1 and enable 4g services for that slot. how can I get bar code? follow the steps mentioned above in the post. Hi, Yesterday I downloaded Joi Apps, But barcode also generated, i’m not take the screen Shot of bar code, While open the Jio Apps Bar code is not displayed, is there any Solution to get the my previous bar code, if you know customer care number please Share me. clear data of MyJio app and follow all the steps again which you did earlier. Hi, Iam using Windows Phone (4G Enabled). Can i use the JIO Sim in my phone and i had got the barcode from my friend android phone…. I got a new mobile and make new barcode but when i take to go jio sim then he is say it is all redy used.So what happened pls tell me. Hey, thanx for such an awesome article. So now finally i’ve Increased Reliance Jio Speed from 1mbps to 5-7mbps. Is it possible to get a jio sim now without barcode. Because i downloaded barcode but it was deleted..
Our system could not process your transaction..
follow all the steps as mentioned above in the post. make sure you’re following all the steps carefully. My mobile name is samsung gallexy neo,gt 9060.shall I connection jio sim this handset? if your device is 4g supported then you can use jio sim in it. sir i have samsung gti8730 that is new Zealand made 4G . i have installed all the jio apps .but i did not get it. so how to get jiyo code for it ?? I have vivo y27l bt after installing my jio app I m unable to see get jio sim. bt got three options sign up,sign in and skip. what can I do…?? follow the steps as mentioned above in the post. Hey Dear I Have apple iPhone 6 Diamonds.But I can’t use JIO in my phone. Have u any idea About this matter,How can I use it in my Phone. what error are you facing. Brother, i got the jio sim through the bar code generated in coolpad mega 2.5. Can i use that jio sim in my other 4g mobile or not? Please reply urgently. yes you can use in any 4g supported device. I am using oppo neo 5,why not open bar code….It was Manny time…i will be try… an did not code again. clear data of my jio app and follow all the steps again as you did earlier. Help me.. I want to buy Lyf Smartphone (Flame 7). What is the Validity of Jio that will be given with the lyf phone ? what should i do to get jio sim card…..
Hi,i’m really interested in this Jio . I missed Welcome offer and now i want to use jio apps but i have only Windows phone, what should i do? Reliance JIO Speed is Good. They did a right thing. Because Airtel and others where looting our money.